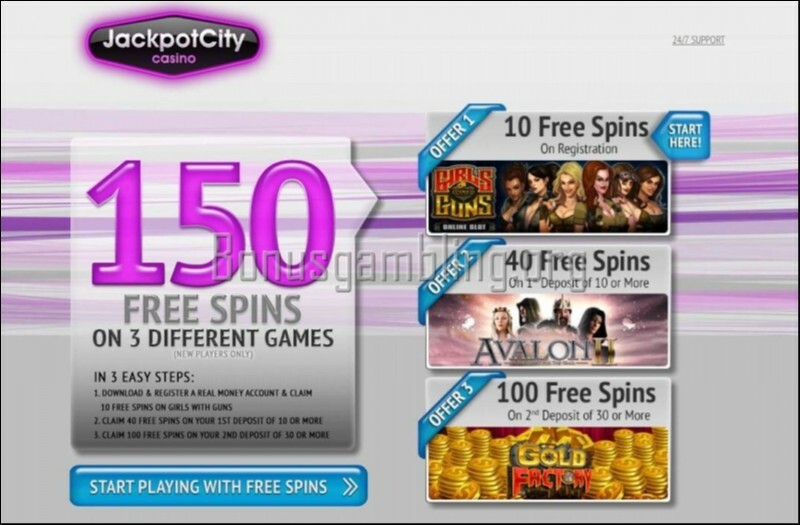 One of the oldest online casinos that is still going strong is Jackpot City. The casino is flashy and designed to grab your attention when you are browsing through. It was launched way back in 1998 and has continued to remain a popular haunt for online gambling fans for its excellent features and reputation for being player-friendly. The home page of Jackpot City looks good and is spacious. The simple and efficient layout ensures you have everything you need available easily; all the relevant links are present right on the home page. The cool layout is amply backed by great graphics and animations and ensures you get beyond the home page and on to the games available. The software that powers Jackpot City is from Microgaming, one of the best in the business of online gambling software development. The software is what provides the casino its cool looks and hot features. You do not need to download the software to your computer at this casino; you can play directly from the browser. The software also provides you with an online bingo room, an online poker room, and a mobile casino. Some of the player-friendly features that Microgaming provides players with include the ability to check their transaction and hand histories, multilingual customer support, excellent graphics and animations, superb sound effects, and more. At Jackpot City, you can try out a large assortment of games. The casino has a total range of over 400 different games. The games available include slots, video poker, scratch cards, and also progressive jackpots. Jackpot City is available in multiple languages and provides excellent customer support in all the languages in which the casino is available. You can get in touch with a member of the casino’s friendly and efficient customer support team through live chat, e-mail, and telephone 24x7. You can also check the casino’s FAQ section for answers to some of the commonly asked questions at online casinos. Jackpot City operates with a license from the government of Gibraltar. The casino uses the latest in online security technology, including SSL digital encryption. The casino is also certified by eCOGRA for complete fairness in its games. You have to be over 18 years to play the games available at this casino. The casino no longer accepts US players. I have learned over the years that there are certain brands of online casinos that you will directly trust because of the brand value they bring with them. So when I stumbled on to this cool casino called Jackpot City recently and saw it was part of this same group, I just walked right in to try the games on offer. The Jackpot City casino is huge when it comes to number of games. With over 400 different games, this casino is right at the top of the heap when it comes to providing unlimited fun. Along with the games, the casino also has some mouth-watering promotions. The promotions at Jackpot City include a 100% welcome match bonus up to $1600 across your first four deposits (100% up to $400 for the first, 100% up to $400 on your second, third and fourth deposit), and a range of regular bonuses and prizes that are handed out regularly. All of the above translate one thing: Jackpot City is a great casino to visit and I am eagerly looking forward to my next visit here.